The memorial service for Jerry Anderson of Morris, Minnesota will be held on Friday, March 30, 2018 at 2:00 p.m. at the First Lutheran Church in Morris, with Reverend Dan Belgum-Blad officiating. Visitation will be at the Pedersen Funeral Home on Thursday from 4 to 7 p.m. and Friday, one hour prior to the service at the church. Burial will be at the Summit Cemetery, Morris. Jerry Earl Anderson, son of Charles and Marie (Engebretson) Anderson was born on September 29, 1944 in Morris, Minnesota, where he grew up and attended school. During his school years, Jerry worked with his father in the family-owned business, Anderson Painting. After graduating from Morris High School in 1962, he continued working with his dad and also drove school bus for the Morris School district. In 1970, Jerry’s dad died and Jerry took over the family painting business. Through the years he expanded the business to include drywall finishing and hardwood floor sanding and refinishing. He proudly performed this work in Morris and surrounding communities until the time of his death. Jerry had a wife, a son and daughter-in-law, and two grandsons who were his entire world. Jerry’s optimistic approach to life was contagious and he was an absolute joy to be around. He had a deep love for people of all ages. He loved his little town of Morris and had so many treasured friendships. Jerry will not be forgotten by anyone who was blessed to have met him and will be fiercely missed. Jerry went to bed on Thursday, March 22nd at his home in Morris and woke up in Heaven on Friday, March 23, 2018. He was 73 years old. 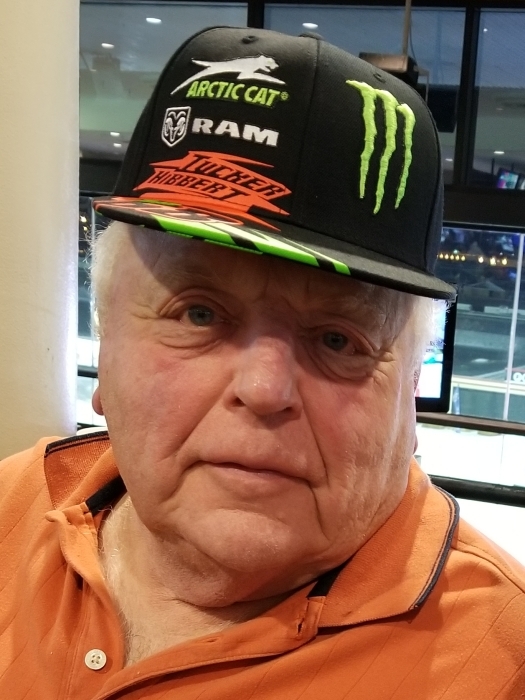 He is survived by his wife Ardell; one son, Jeff (Ali) Anderson; two grandsons, Jared and Brock Anderson, all of Morris, MN; one brother, Curt (Diane) Anderson, North Mankato, MN; one sister, Sandee (Dave) Flohr, Lakeside, CA, one sister-in-law, Eunice (Dave) Johnson, St. Cloud, MN; one brother-in-law Bob (Barb) Jergenson, Morris, MN; and several nieces and nephews. Jerry was preceded in death by his parents, mother and father-in-law, Dorothy and Alfred Jergenson; a nephew, Corey Jergenson; and his precious cat "Tiki” and loving dog "Kuba"